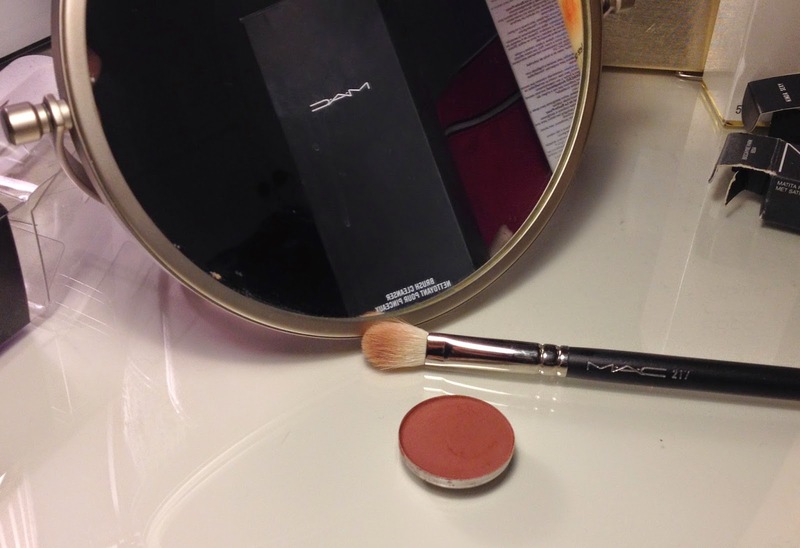 Seeing as it is Easter weekend, what could be more fitting than MAC's Swiss Chocolate eye shadow? This week's MAC Monday looks almost good enough to eat!! MAC's Swiss Chocolate is a matte shadow, it doesn't look like much in the pan but is nicely pigmented, soft and blends well. It is a great crease or transition colour depending on how bold you want to go, or you can use it over the whole lid for a simple look. I bought Swiss Chocolate a few months ago when I wanted a darker brown matte shadow to use in the outer corners of my eyes or as eye liner. MAC's Espresso often gets mentioned in this category, but Swiss Chocolate is a warmer toned brown with more of a red undertone. 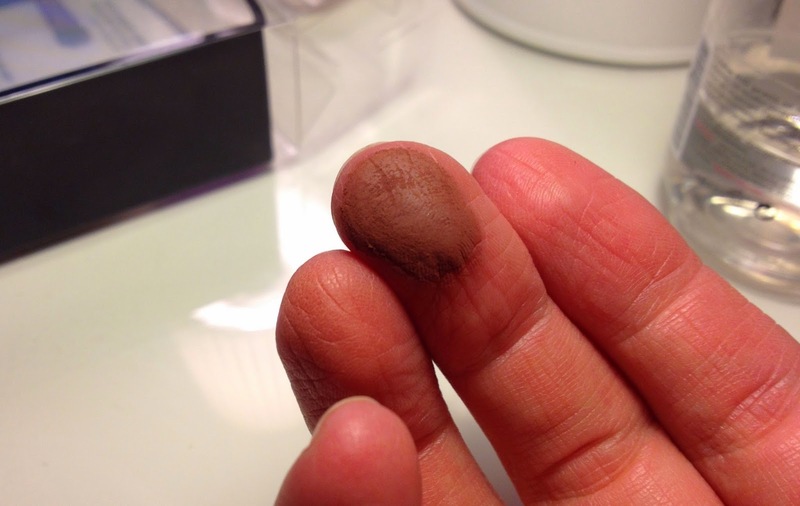 I had been so impressed with MAC's Soft Brown eye shadow (a lighter but similarly toned brown matte shadow - see my review HERE) that I knew the warmer tones complement my blue eyes better and so it was an easy decision. 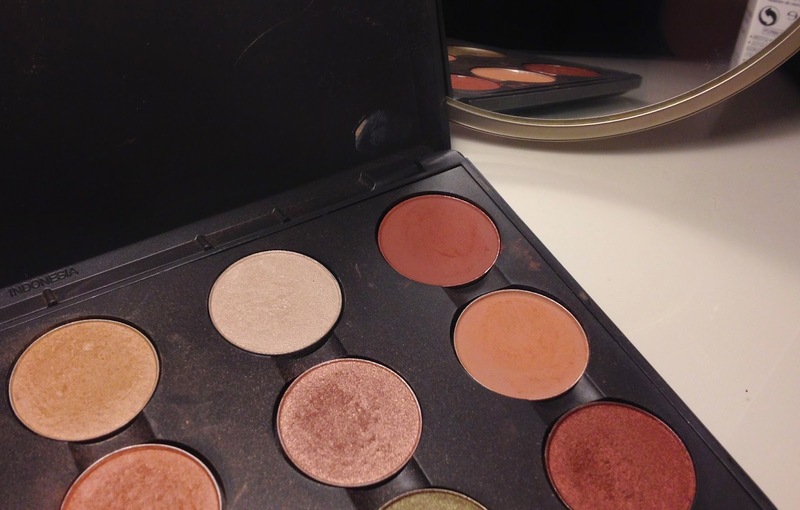 I bought it in the pro palette form to add to my growing collection of MAC shadows. They are slightly cheaper to buy this way and easier to store and transport (I also find that if I have shadows in the single pots lurking in my drawer I tend to forget about them!). I must admit I don't think I have really used it as an eyeliner yet, but I do often wear it in the crease - especially with paler colours or green shadows. I know that if I had bought Espresso instead, the cooler darker colour would have made me look tired, so Swiss Chocolate was the better choice. Swiss Chocolate definitely sits in the neutral family of MAC shadows. 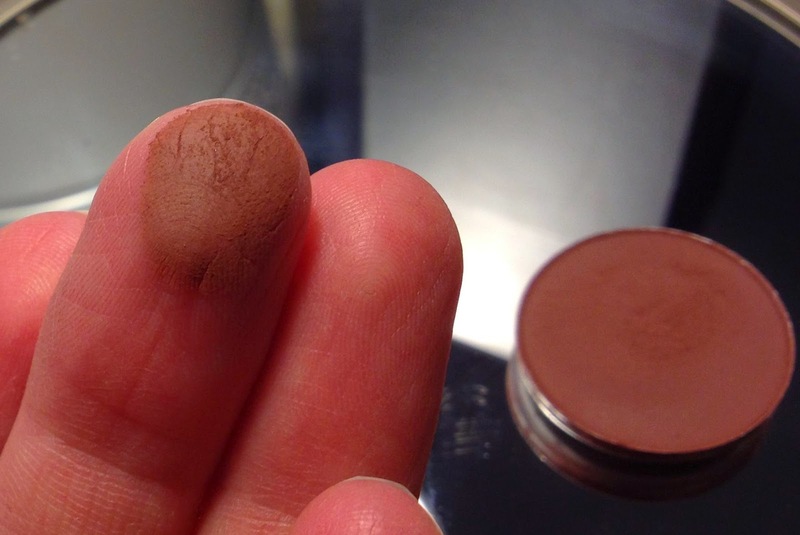 Compared to MAC's Soft Brown shadow, Swiss Chocolate is darker and has more of a red undertone than the peach tone that Soft Brown has. 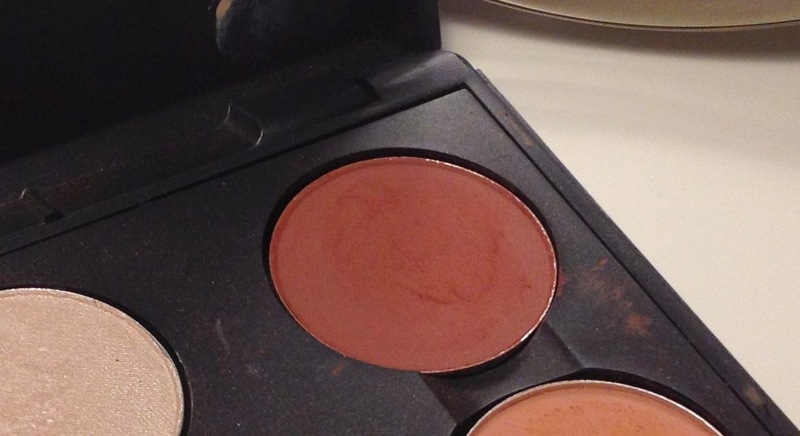 Compared to Saddle (from MAC's Warm Neutrals Palette), Swiss Chocolate is darker and again more red. 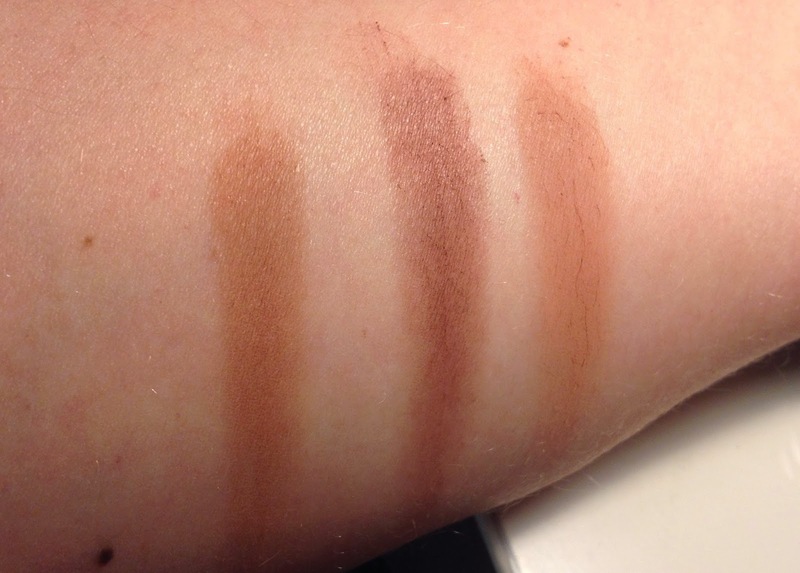 I recently bought the incredible MAC Warm Neutral Palette (see my swatches HERE) and Swiss Chocolate really complements the 15 shadows well. I rarely venture out of neutrals territory and consequently have many, many neutral shadows and palettes. But I have to say that I don't have anything like Swiss Chocolate! MAC Swiss Chocolate eye shadow is £10 for the pro palette shadow HERE or £12.50 for the single shadow pot HERE. Do you have any must-have matte shadows? Have you posted any Swiss Chocolate tutorials? I post about my favourite MAC products every Monday - here are the products I have reviewed so far - do you see any of your favourites on the list? Thanks! I certainly have a lot of reviews to get through - although I feel like its time to try some new MAC things if you have any suggestions...?